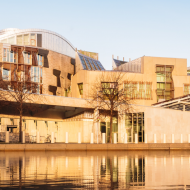 ICAS and the FSB asked small business owners what they thought of planned income tax rate and band changes in Scotland before they were finalised in February. Almost half of the respondents thought more income tax bands should be introduced to reflect a broader range of incomes. But over two-fifths of respondents predicted Scottish businesses could suffer due to income tax increases. ICAS and the FSB recently undertook some research with small business owners. Justine Riccomini takes a look at the main findings. The key finding of a survey by ICAS and the FSB was that small business owners had mixed feelings about how the new income tax rates and bands would impact their businesses. 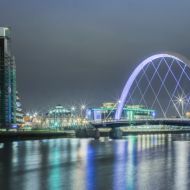 Research undertaken by ICAS and the FSB at the end of 2017 suggests that while small business owners might be reasonably happy with the changes to income tax bands in Scotland, any income tax increases might impact negatively on their business. The final set of rates and bands were announced on 20 February 2018 in the Scottish Rate Resolution. One-third (33%) of respondents thought that the income tax rates should be increased for higher earners, while just under half (49%) thought more income tax bands should be introduced to reflect a broader range of incomes. 10% specifically wished for a new band for middle earners and increases for higher earners. One-in-five respondents felt that taxation should increase generally, the same number said it should decrease while almost two in three said it should stay the same. The mixed results might be indicative of a lack of transparency and thus public perception/understanding on the tax versus spending debate. ICAS has called for greater transparency and simplification in the tax system. Economists from the Fraser of Allander Institute have said that public spend is outstripping income and taxation needs to increase to make up the shortfall if devolution is to flourish. Opinion was split in terms of what the impact on business owners as individuals would be if there was an increase in taxation. A negative outcome, however, was that 63% of those surveyed said they would change their behaviour to negate potential tax increases, including 14% who stated they would move their business out of Scotland. In addition, 21% said they would consider reducing income by means of a different form of remuneration, which would directly affect the amount of income tax receipts into the Scottish purse, as it is only non-savings, non-dividend income tax which is devolved. Furthermore, 23% said they would reduce planned investment in the business, which indicates that growth or productivity might suffer. Over two-thirds of respondents (65%), felt increases would be detrimental, while 17% anticipated no difference and 18% thought business and the economy would benefit. Time will tell as to who was correct. Were respondents representative of Scottish taxpayers? 64.8% of respondents are basic rate taxpayers with earnings between £11,500 and £43,000. Higher Rate earnings over £43,000 and up to £150,000. These percentages are broadly representative of the Scottish taxpaying public.